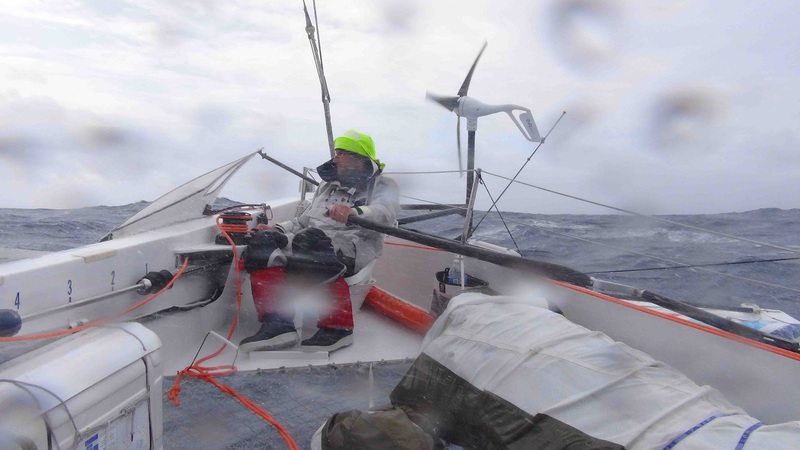 For the leaders of the Krys Ocean Race the frontal system that they have ridden since Saturday night continues to prove the gift, which keeps on giving. 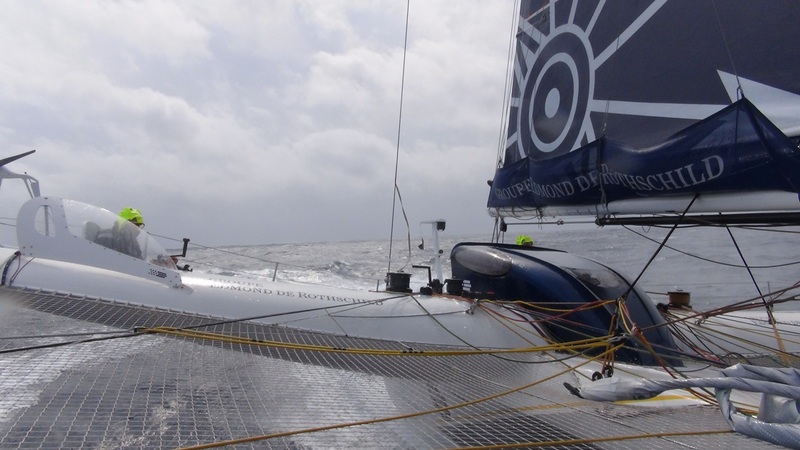 Photo: © MOD70 Groupe Edmond de Rothschild onboard/GITANA S.A.
Before leaving New York, initial predictions suggested that the five MOD70’s would benefit for at least three to four days. As the leaders now contemplate negotiating the north east side of the Azores high pressure system, it now seems likely they will have every chance of curving progressively towards Ireland, the Scillies gate and then to the finish line in Brest with hardly any reduction in speed. Sébastien Col, tactician and helm from FONCIA, even suggested today that the most favourable weather files had them reaching the finish with no gybes. With the S-SW’ly winds still hitting over 30 knots this afternoon, their fourth since leaving Manhattan, the speeds of the three leading MOD70’s continue to be impressive. Spindrift racing have clocked up another day of more than 700 miles on the mid afternoon rankings, holding their average speed just under 30kts. 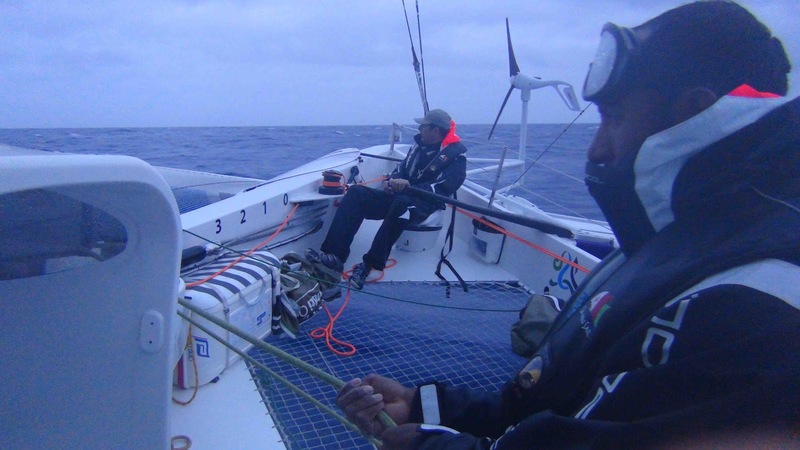 So far Spindrift racing’s remarkable 711.9 miles sailed over 24 hours, set Monday, is the highest run yet. 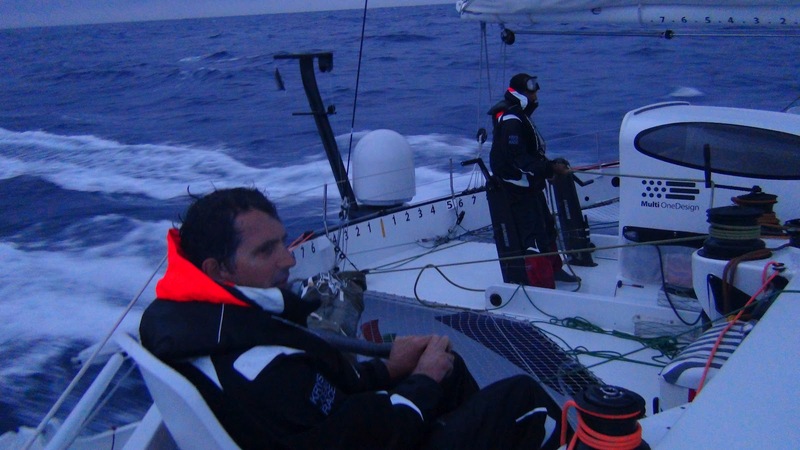 Yann Guichard and his team, which has lead since Sunday night, still managed to increase their margin on the chasing duo today. With around 1300 miles to sail to the finish, Spindrift racing was holding an advance of 50 miles this afternoon ahead of Seb Josse and crew on Groupe Edmond de Rothschild with FONCIA 13 miles behind them in third. Foncia’s Sébastien Col told the live radio call today that their best option should present itself as they pass over the Azores high pressure system. 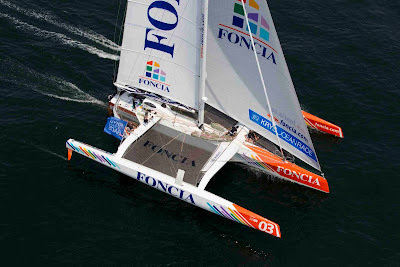 Depending on its evolution as the more southerly boat of the leading trio, FONCIA may find a better, reaching angle sooner whilst their two opponents may find themselves slowed, on a more downwind, open angle. But patience has, to some extent, been part of the FONCIA strategy, Col acknowledging on today’s radio vacation with Krys Ocean Race HQ in Brest, that both Spindrift racing and Groupe Edmond de Rothschild have continued with better wind strength and angle. The mood remains stoic, mostly upbeat on fourth placed Musandam-Oman Sail. 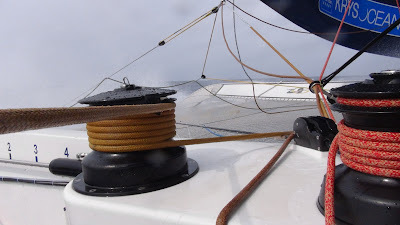 They have adapted well to their compromised predicament, managing to replace their damaged port foil with the starboard one, a delicate manoeuvre in 25-30 knots of wind which required all the strength of three crew plus one helping the lift on a halyard. Though they had tried to sail without a foil, they had found the boat liable to nosediving. 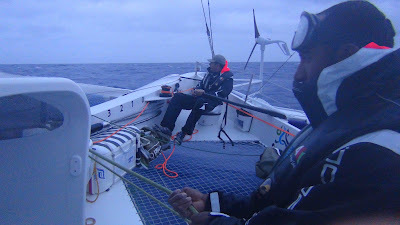 But in their new configuration they were making a decent 26 knots average this afternoon, but were some 122 miles behind FONCIA. 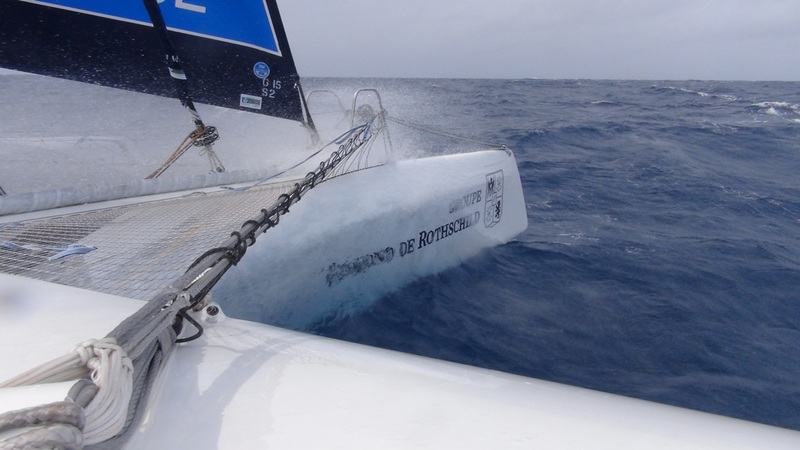 Photo: © Mark Lloyd / MOD S.A.
Labels: Photos: © MOD70 On board of Groupe Edmond de Rothschild; © MOD70 Musandam-Oman Sail / On Board; © MOD70 FONCIA / On board/ Team Foncia; © Mark Lloyd / MOD S.A.